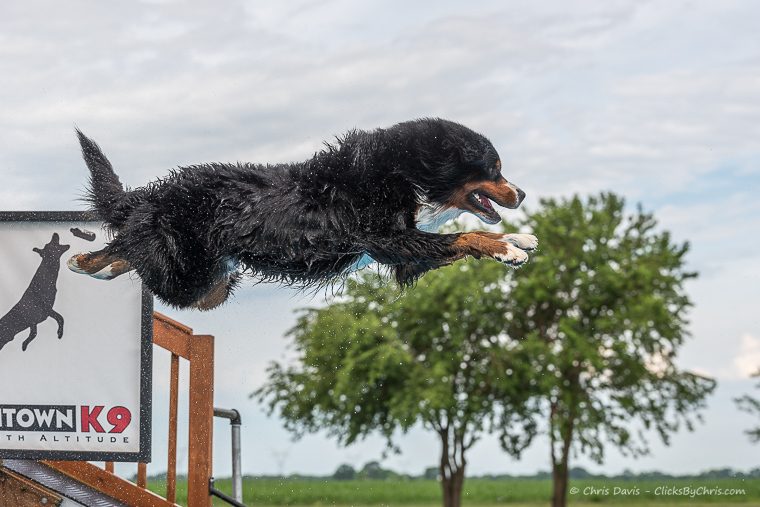 Dock diving is an awesome way to spend time with your dog. Getting started in dock diving may not always be a quick process. It may take time and training. 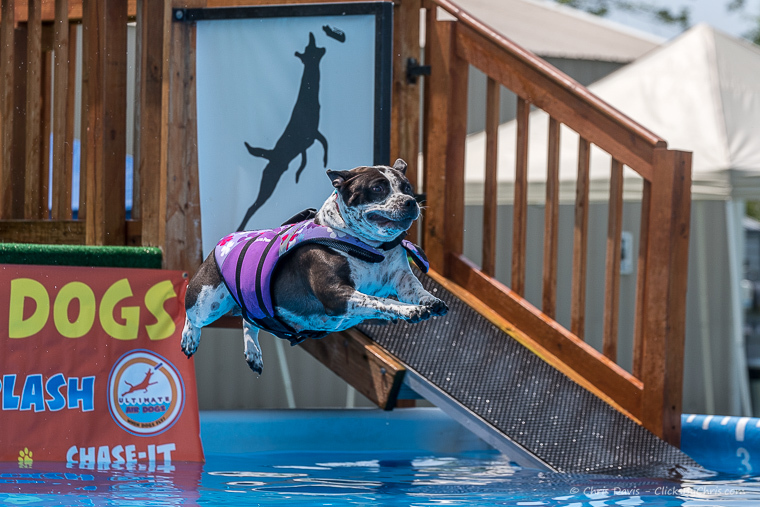 There are three components that your dog will need for dock diving, 1) toy drive, 2) the ability to swim and 3) confidence. 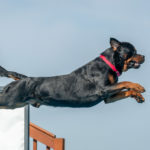 Some dogs pick all three up rather quickly and some may pick up on one and need help with the others. 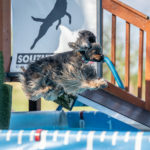 This is important to dock diving as it gives the dogs a purpose to get in the pool. Toy drive is something you can work on prior to coming out for lessons. 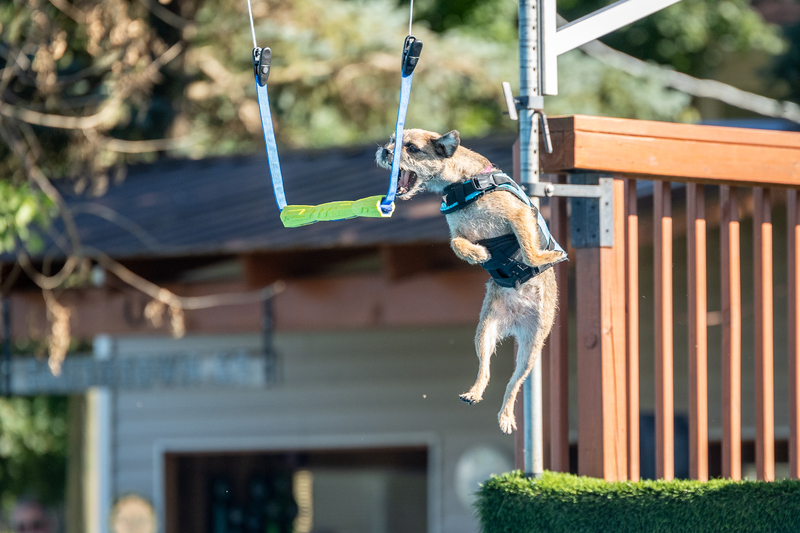 We use one toy only for the pool. 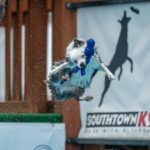 It can be a tennis ball, wubba, bumper or whatever your dogs favorite toy is. It just has to float, but cannot be alive, once alive, or food. Start by playing fetch with this special toy 2-3 times per day for about 5 minutes. The key is to always leave them wanting more. Bring the toy in and put it up. 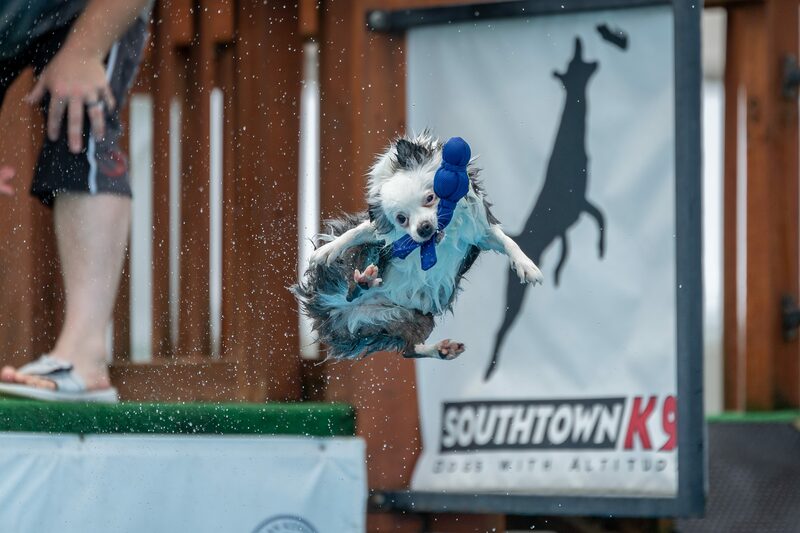 They are only allowed to have it when you are playing fetch or at the pool. This will build excitement for the toy. These kinda go hand in hand. 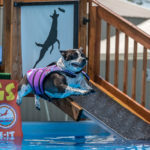 If your dog does not know how to swim, we can help. We have life vests to help them feel safe through the process. 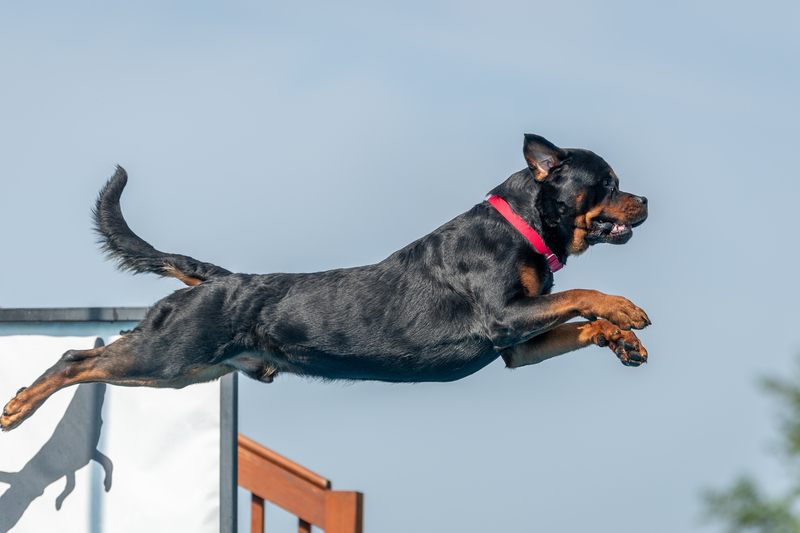 Your dog may not get in the pool and swim on their first visit. We may just work on the ramp. It’s possible even you will need to get in the pool to help encourage them in. We always start with the ramp, roll the toy down and let your dog get used to the ramp. This way they also know how to get out. Each time we will put the toy out alittle further. 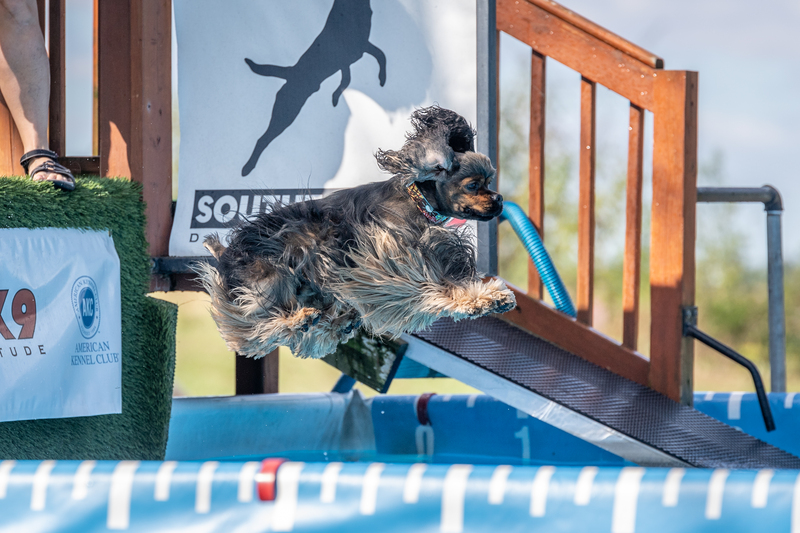 Once your dog is running and jumping off the ramp into the pool then we move to the dock. 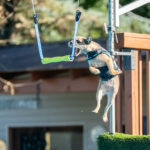 If you move to the dock too soon and your dog isn’t confident enough, it may put you all the way to the beginning with more ramp work. This is not the time to rush progress. 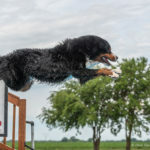 Dock jumping is not just for retrievers, it is open to all breeds.